Elisabeth and Keegan Kilroy, siblings from Maine, fought nerves as they chatted with a Senate staffer in a corner office with clear views of the U.S. Capitol. They were practicing their story: Elisabeth, a second year Ph.D. student at the University of Maine, is working to identify the genetic cause of her brother Keegan’s muscular dystrophy and relies on federal funding for her important work. When it was their turn to speak to veteran Senator Susan Collins, they wasted no time with their ask: fully fund the National Institutes of Health. 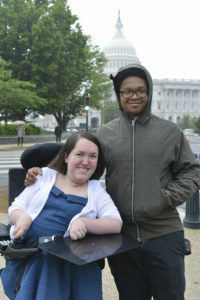 Elisabeth and Keegan were part of a delegation of dozens of advocates from 23 states who visited more than 100 congressional offices on Capitol Hill earlier this week to speak to their representatives about the importance of programs and policies that help accelerate the development of treatments and cures for individuals and families living with muscular dystrophy, ALS and related neuromuscular diseases. It was the culmination of three days of learning, training and networking as part of MDA’s inaugural Public Policy & Advocacy Conference in Washington. Despite the rain outside, the mood among MDA families was bright: They were there to do important work, and they were fired up. Before they headed to the Hill, MDA families heard from a variety of experts in research, health care reform and accessible air travel. MDA’s Scientific Program Officers addressed the unique nature of research across diseases and shared current therapy development pipelines and information about current clinical trials. Their presentations helped demonstrate the importance of the asks the advocates made on the Hill by shining lights on the mechanisms of research funding, the role of regulatory science and the drug development process. 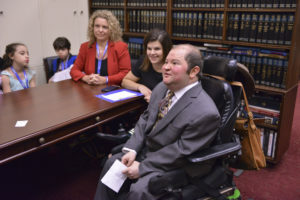 The health care reform session included guest speakers from the National Organization for Rare Disorders and Cystic Fibrosis Foundation, two national organizations that joined a coalition with MDA to define access to care principles, another key request the advocates shared with their legislators. They discussed topics surrounding health care reform such as high-risk pools, current draft legislation and potential impacts on Medicaid. Since many of the attendees at the conference traveled by plane to Washington, the accessible air travel policy forum was of particular interest. Speakers from the Department of Transportation (DOT) addressed multiple issues, including the Air Carrier Access Act (ACAA) and provided updates about regulatory negotiations regarding access to lavatories in single-aisle aircraft. The DOT representatives emphasized the importance of knowing your rights when traveling by air and reminded attendees that if they experience discrimination, are affected by poor handling of their mobility equipment or are denied boarding or other assistance, they should file a complaint with the agency. You can visit MDA’s Accessible Air Travel resource center for direct links to helpful information, including how to file a complaint with DOT. Increase funding for NIH and FDA to ensure adequate support for biomedical research, drug development and regulatory review. Increase funding for the national newborn screening program to ensure sufficient funding to implement and add new neuromuscular diseases to newborn screening panels. Ensure that any health care reform measures would take into account key principles of coverage essential to our community. Support legislative and regulatory changes to ensure access to air travel for passengers living with disabilities. We are grateful to everyone who joined us at MDA’s first Public Policy & Advocacy Conference — and we want to thank those who took action from home by reaching out to your congressional members’ offices. If you have not had a chance to take action, please do so today. Every voice is important and together, we are stronger. 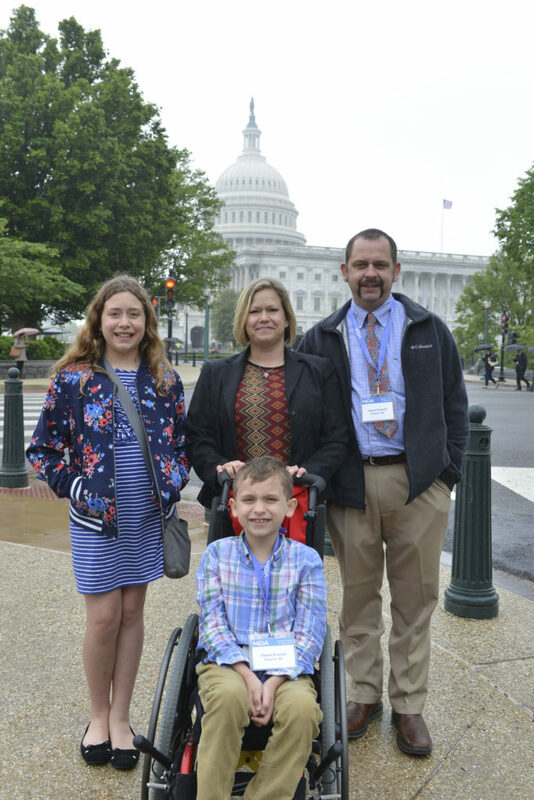 If you are not already an MDA Advocate, please sign up today to receive advocacy emails and action alerts, so you can join us in ensuring that policymakers hear your voice on issues that are important to the neuromuscular disease community.